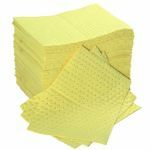 Chemical or Hazmat Absorbent Pads are an easy-to-use solution for cleaning up chemical spills. 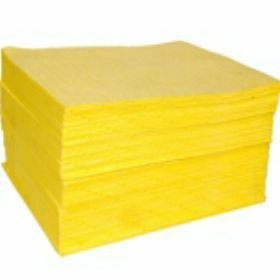 These chemical absorbent pads are ideal for use in industrial or commercial workplaces and can be used for acids, bases and other harsh chemicals. 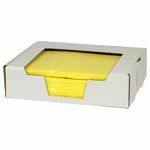 Hazmat spill absorbents are available as pads, socks and rolls to suit any application.